Harcourt Terrace is a grade 1 listed building, on a virtually intact regency street in Dublin. The project consisted of the restoration and rehabilitation of the existing house and the inclusion of a home office at basement level a small rear extension and the renewal of all service installations. 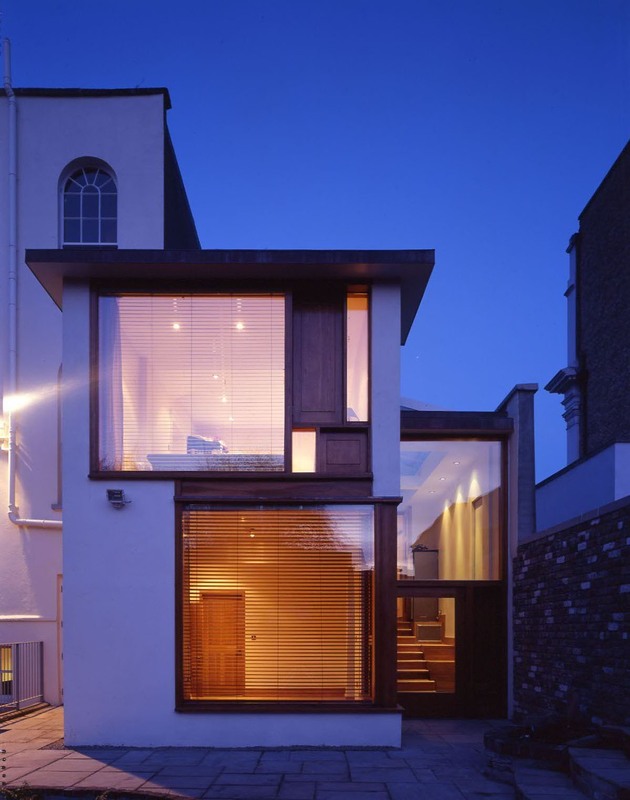 The first phase of the works to this house was carried out by BKD architects under the supervision of Donal Hickey. 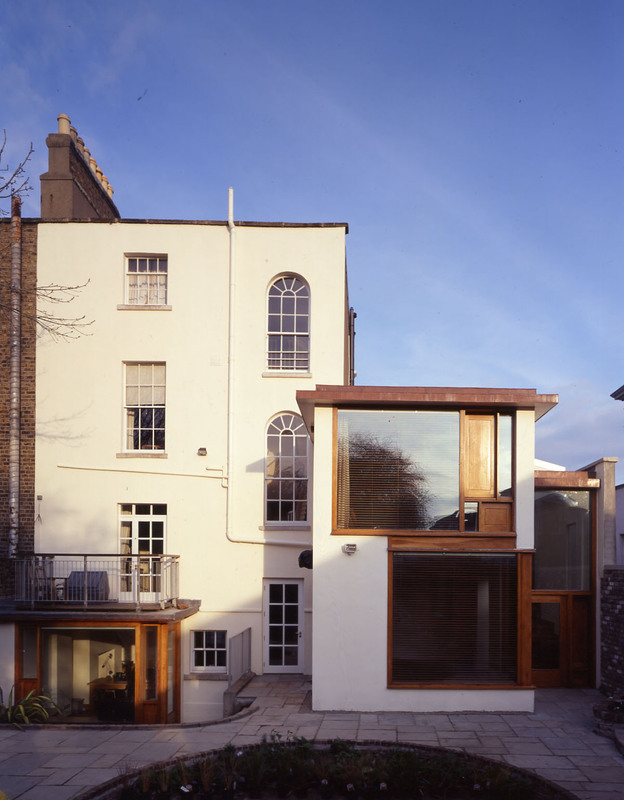 In 2000 the family engaged Donal Hickey Architects to carry out new works to revise and extend the rear extension and create a link to a new garden design. The form and materials used were contemporary and matched the aesthetic of the basement office. 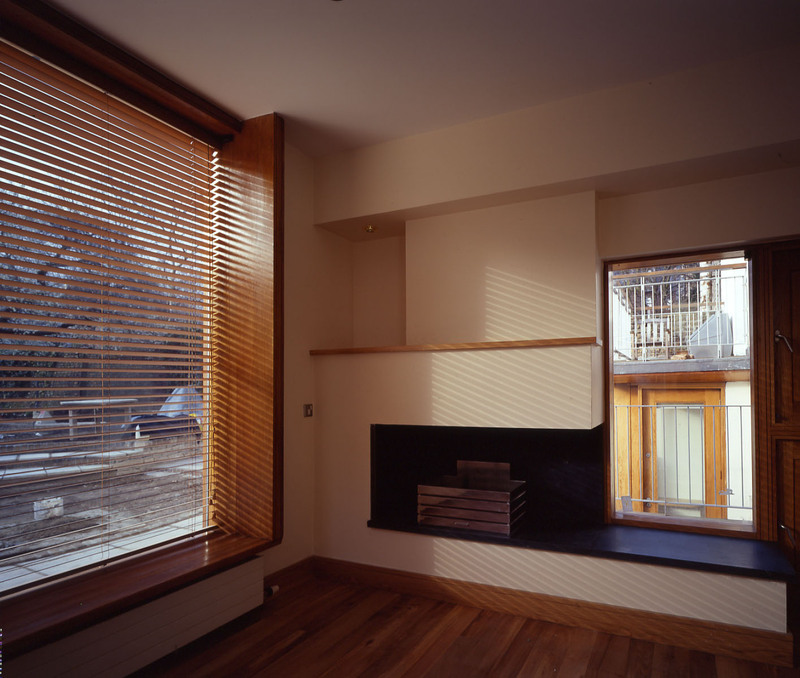 Light, western red cedar, american red oak and american black walnut joinery and flooring, stainless steel, painted render, copper roofs, glass, absolute black granite, limestone, brazilian granite, travertine marble were the predominant materials.